Gravel driveways are a popular choice for many. Although these driveways look simple in design, they can add a certain grandeur to your home. With their attractive appearance that works well particularly in country settings, gravel driveways are simple to lay and fairly low maintenance. When choosing a design for your driveway, it is good to start by looking at the front of your home. Analyse what exactly would complement the style of your home in terms of colour and lines. For example, would a straight design with a walkway leading to the front door look best or would a curved shape look nicer? Dimensions are also important. Your gravel driveway needs to be wide enough to fit your car(s) and there needs to be enough room either side of the car for people to step on to the gravel. Have you thought about adding plants to your driveway? Placing shrubs or sculpted hedging around the border of the driveway can create dramatic edging to gravel. Railway sleepers also work well as simple but attractive edging. Texture and colour are important elements in the design of your gravel driveway. 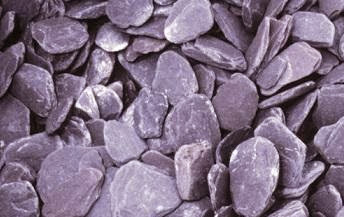 When arranging driveway gravel, consider which colour aggregates would complement the colour of your house. Neutral colours such as beige, white and grey are good options as they will suit most houses. If you want to brighten up your driveway however, incorporating plum state in the design works extremely well. 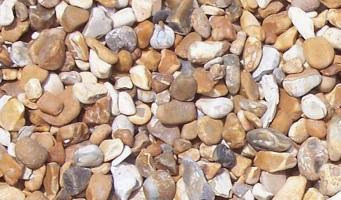 Shingle is a versatile product that can be used as driveway gravel. In lighter shades, pea shingle can add a contemporary twist to a driveway and in darker shades, shingle can look more natural and rustic. Or why not mix it up? Using different colours and textures can create a truly unique look and maybe even make you the envy of your neighbours! 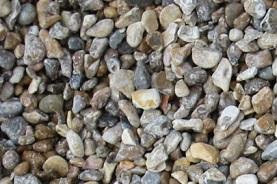 The first thing to bear in mind is that gravel does not work well on sloping driveways as it needs regular top-up resurfacing and can be difficult to keep in place. Therefore it is not advisable to use this method on a driveway with any gradient. There are also a few other guidelines to follow when considering using gravel and aggregates on your driveway. Do not make the depth of the gravel more than around three inches. A layer that is too deep can move around when cars drive over it and will create a messy look with tire ruts. Gravel driveways will also need annual maintenance to keep them looking great. Make sure to clear weeds and sweep escaped gravel back on the the drive. The gravel on the surface also needs to be worked in order to get adequate drainage away from the house. Grade the driveway once or twice a year and eventually relay the top surface of the drive when the weight of your car(s) has caused the gravel to compact.